This guy is so cool he uses just one name, kind of like a Brazilian soccer star. 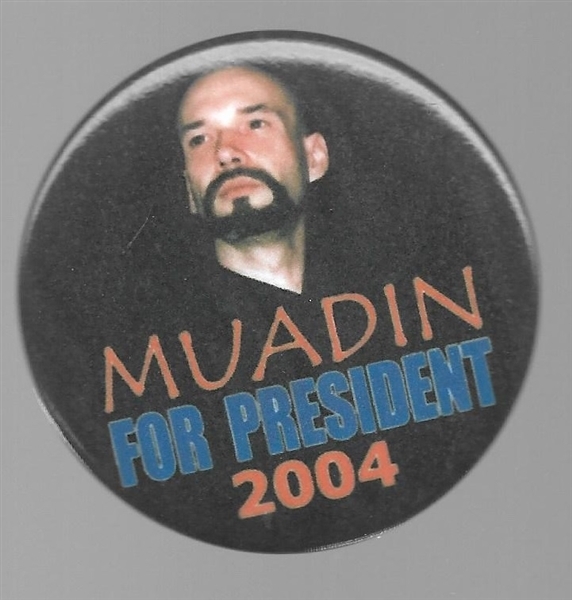 Muadin's platform called for a cyber revolution and rule by the Internet. His slogan: "One people, one planet, one awareness" sums it all up ... we think. This 2 1/4 inch celluloid is in excellent condition.